In my wallet I have a list of places to check out. 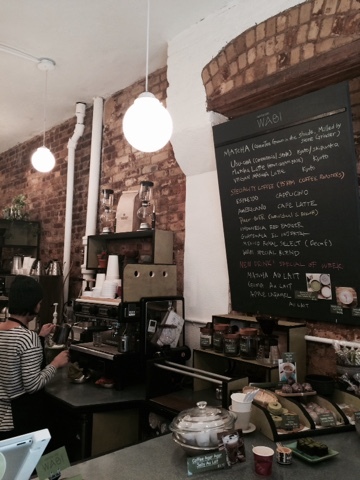 This weekend I crossed two places off that list and Matcha Cafe Wabi was one of them. 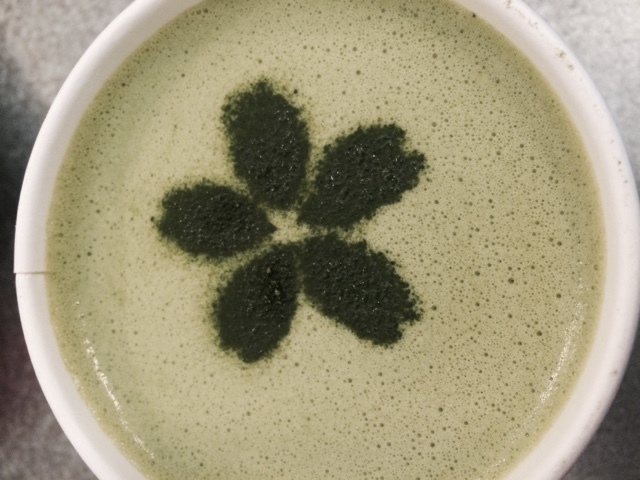 I ordered a matcha latte and drank some of it in the cafe. The interior was warm and cosy, a nice place to rest for a bit after a walk with the wind in our faces. The latte was creamy and earthy with slight hints of bitter and sweet. 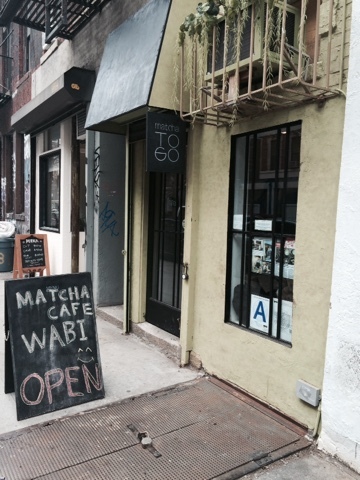 I need to find more errands to do in the East Village as I'd like to drink more matcha lattes from Matcha Cafe Wabi.